Large group of people; men, women, and children, gathered in a large room. All are wearing overcoats, hats. One man to the right of photo is uniformed and standing. 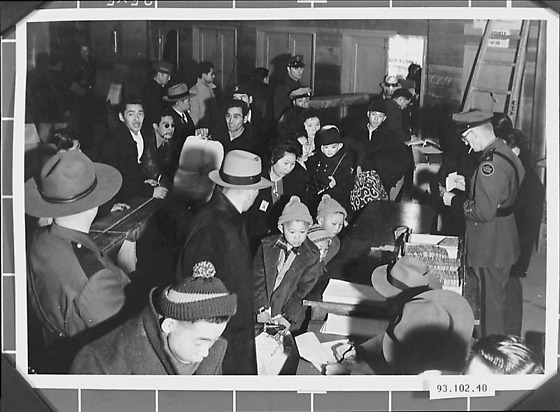 In Tule Lake camp, they wanted the people who wanted to go back to Japan, about half of the internees departed.